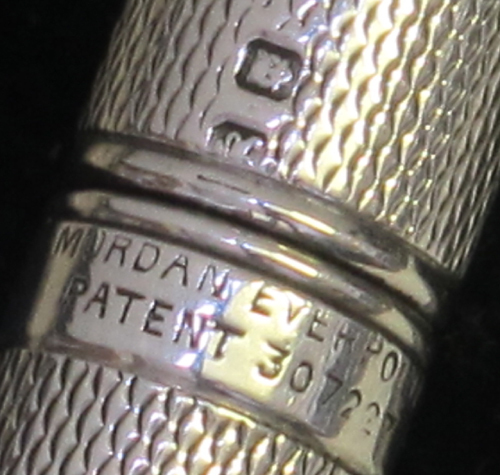 An example of a Sampson Mordan “Torpedo” pencil in silver with engine turned barleycorn decoration has been imaged and now added to our Mordan vintage pencils webpage. It is dated 1938, in its original gift box and in excellent condition. The variety of designs of gold and silver pencils from S. Mordan was extensive and a few more examples can also be viewed on the same page.